I've always been super intrigued by this photo that has been in one of my "inspiration" folders for a few years. I can't remember where I first saw the image (probably Design*Sponge or Apartment Therapy). I don't have to wonder about what goes on inside that sweet backyard studio anymore! I just saw this article in The New York Times! 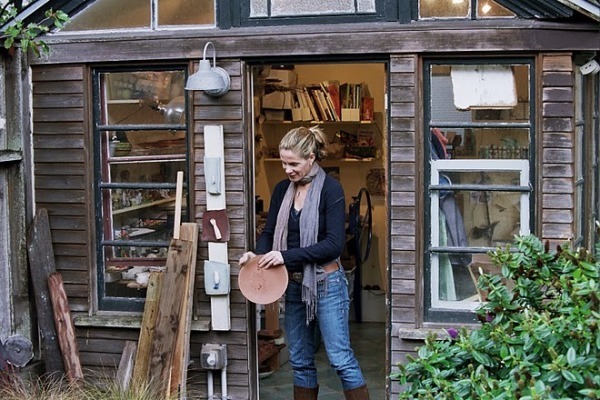 It's the studio of ceramicist Lisa Neimeth and I was delighted to find that she's based in San Francisco... what a small world. Here are a few more photos of her studio and her ceramics!